December, 1941. Corporal Thomas Lynch and the rest of 3 Commando board a pair of troop ships and set out on the largest Commando raid yet. Their mission: assault the Norwegian island of Vaagso, neutralize the German defenders, and destroy anything supporting the Axis war machine. Lynch and the other Commandos storm the island and quickly find themselves engaged in brutal house-to-house fighting. Casualties begin to mount, and the fighting spirit of Britain’s finest is severely tested as the ferocious German defense pushes them to the breaking point. 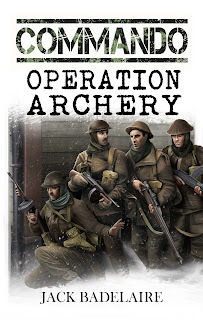 COMMANDO: Operation Archery is the fifth in a series of military action - adventure novels written in the spirit of classic war movies and wartime adventure pulp fiction. Although it has taken longer than I expected, the fifth book in the COMMANDO series is now live on Amazon in eBook format. I will be working on the print copy over the next few weeks, and it should be available sometime in February. Over the last year or so I've received a lot of very complimentary queries asking when this book will be released, and it's really great knowing I've got a strong fanbase eager for the next volume in this series. Click the Cover to View on Amazon! 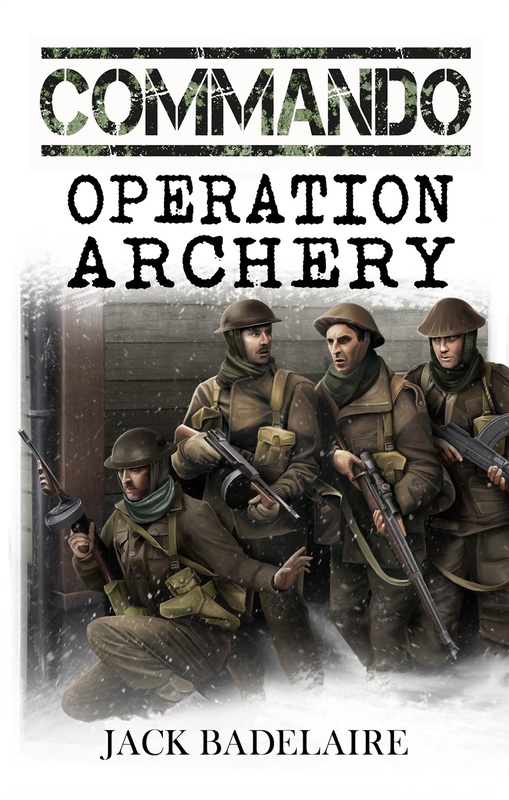 Fellow author Dan Eldredge has just gone live with a WW2 action-adventure novel written as a companion series to my COMMANDO stories, but featuring US Army Rangers. If you're interested in "Men's Adventure" styled WW2 fiction, take a look. Eager to take the fight to the Germans, hundreds of young American soldiers volunteer to become Rangers, an elite unit modeled after the famed British Commandos. Chuck Hawkins and Alan Patrick are two such men, ready to accept the challenge and show the world that Americans are ready to fight. After surviving months of hellish training, Hawkins and Patrick are selected to join a Ranger squad on a covert mission in occupied France. Under orders to avoid contact with the Germans, the plan goes awry when bullets start flying minutes after their landing. Hawkins, Patrick, and the rest of the Rangers are determined to complete their mission, all the while pursued by a ruthless SS officer and his fanatical troops. 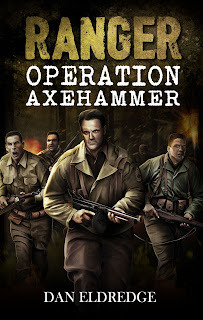 RANGER: Operation Axehammer is a military action - adventure novel written in the spirit of classic war movies and wartime pulp adventure fiction.